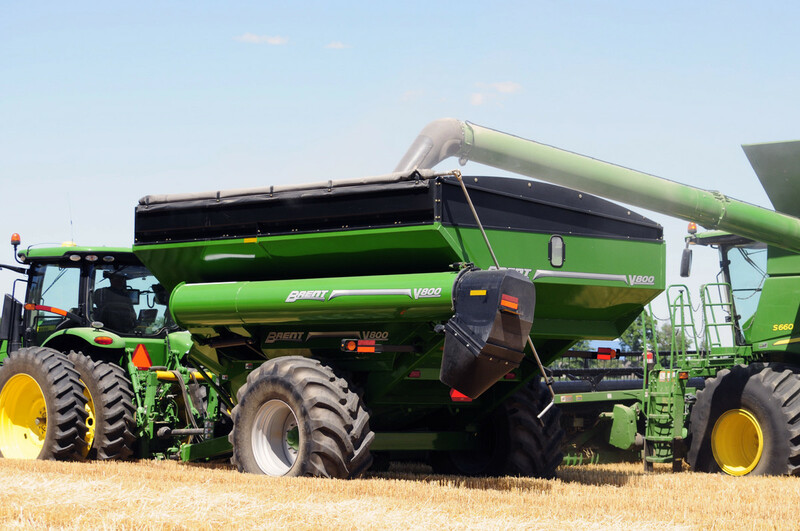 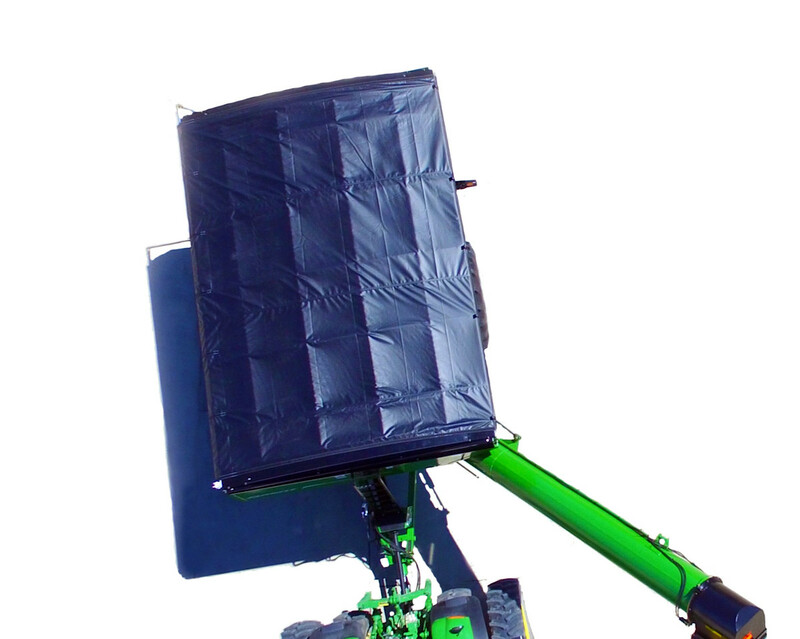 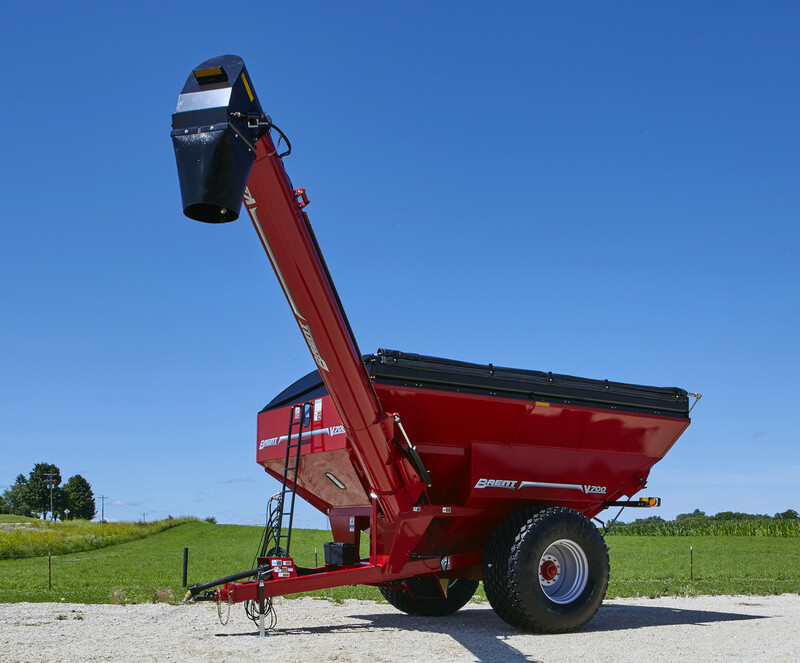 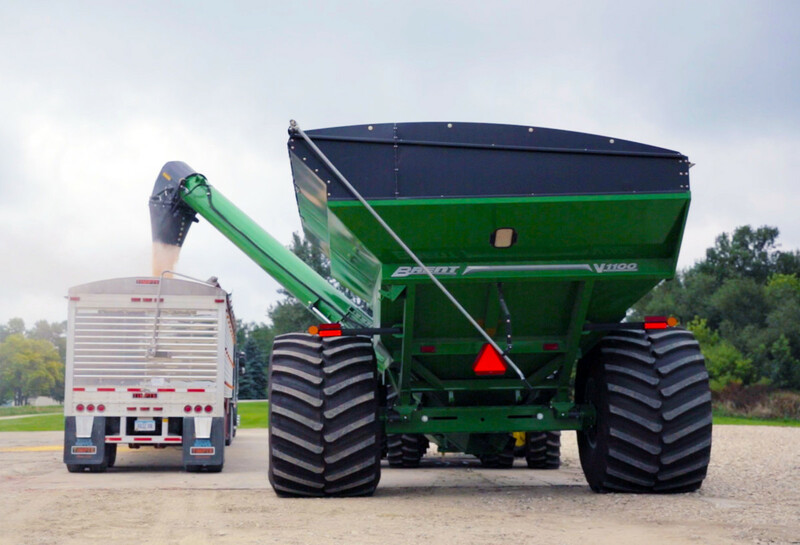 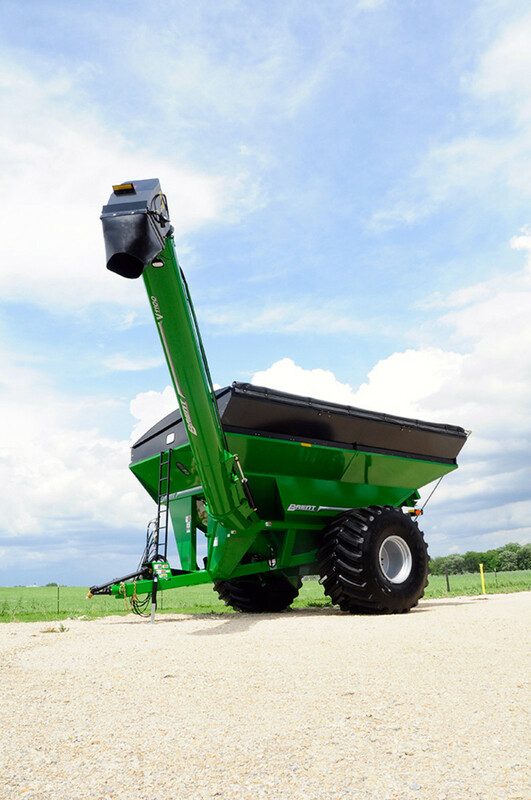 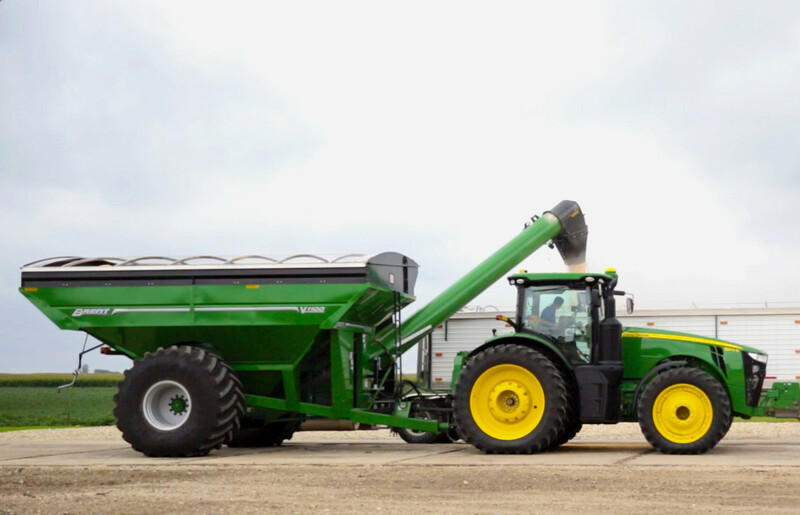 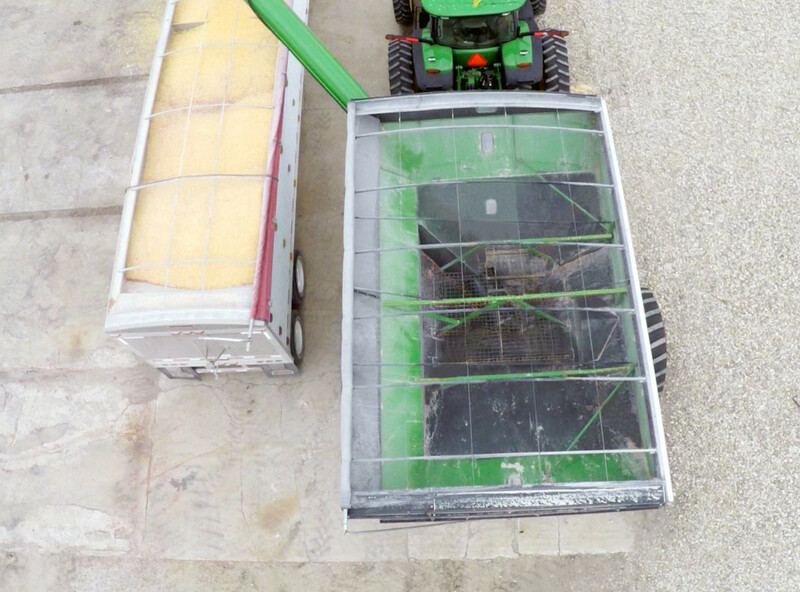 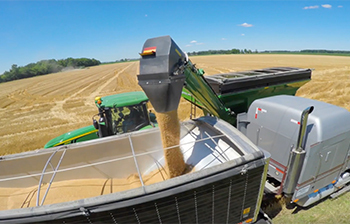 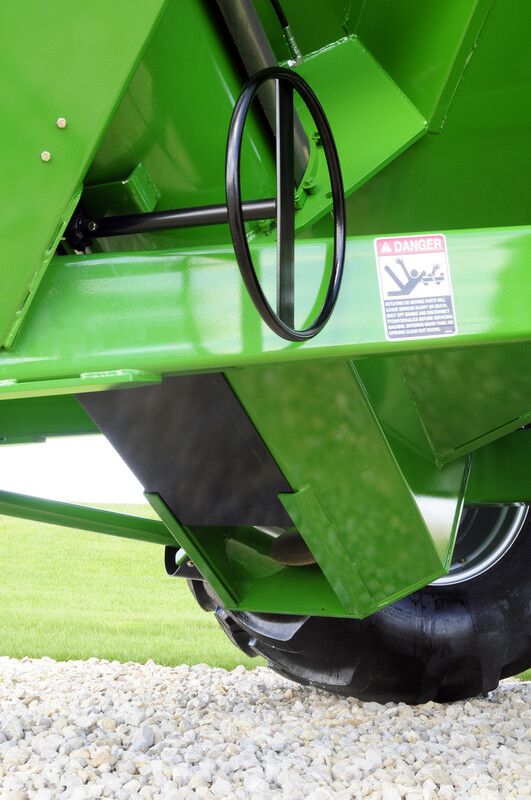 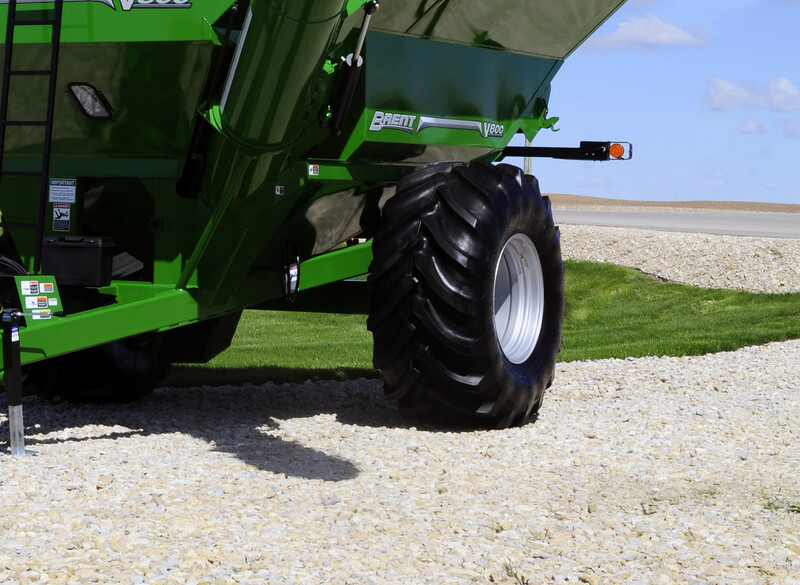 The Brent V-Series single auger grain carts bring operator visibility and convenience to new limits. 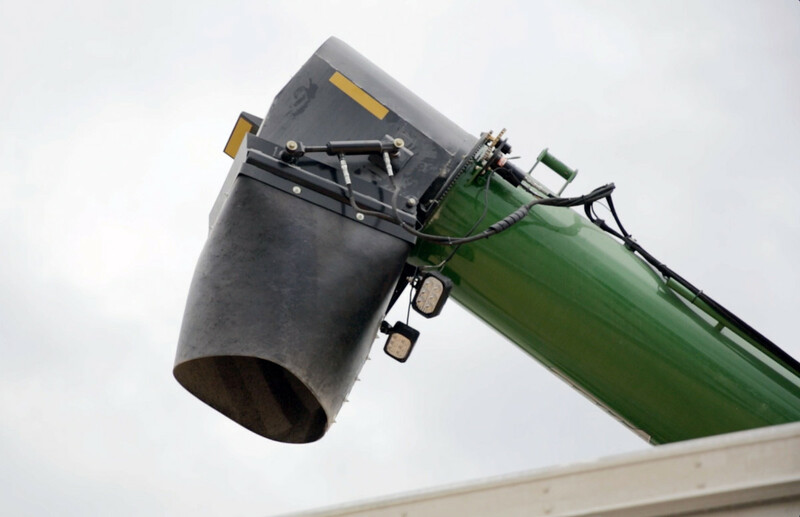 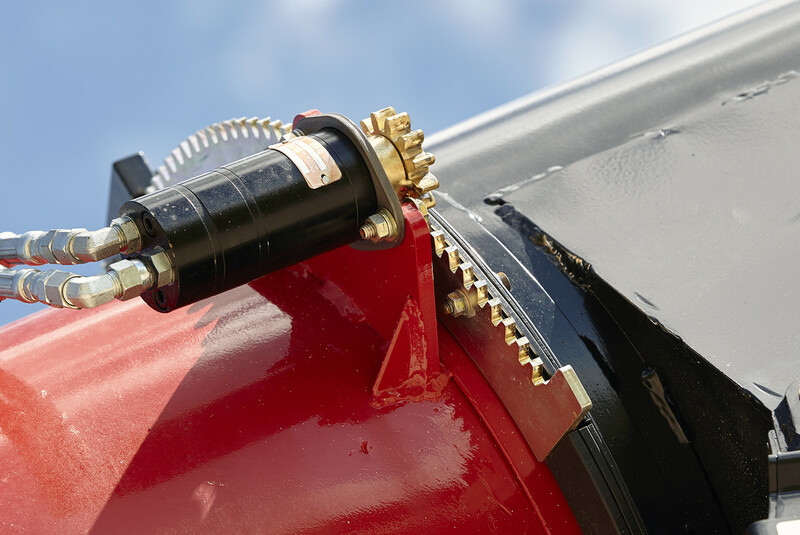 The exclusive forward-reaching, single corner-auger design provides industry-leading forward auger reach which maximizes visibility of the auger and downspout. 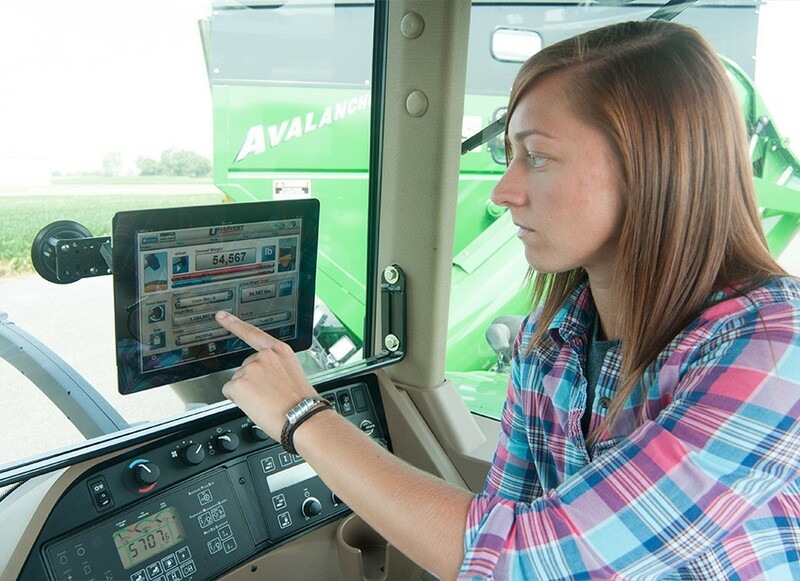 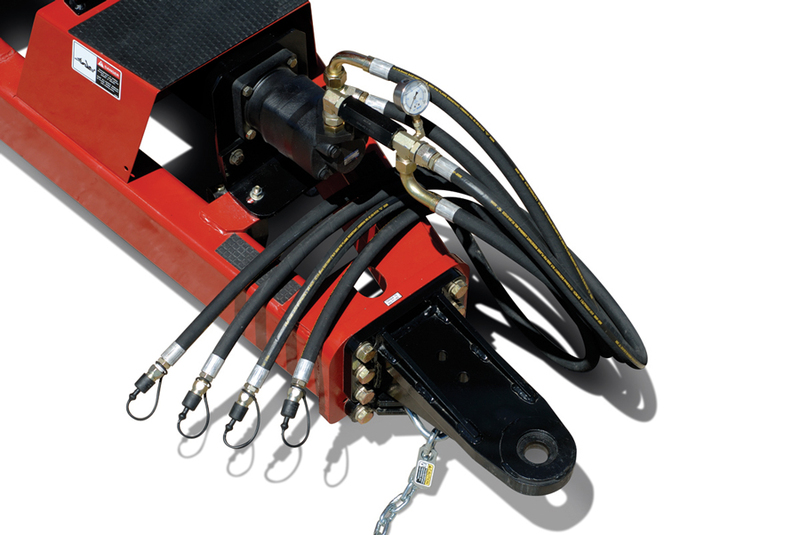 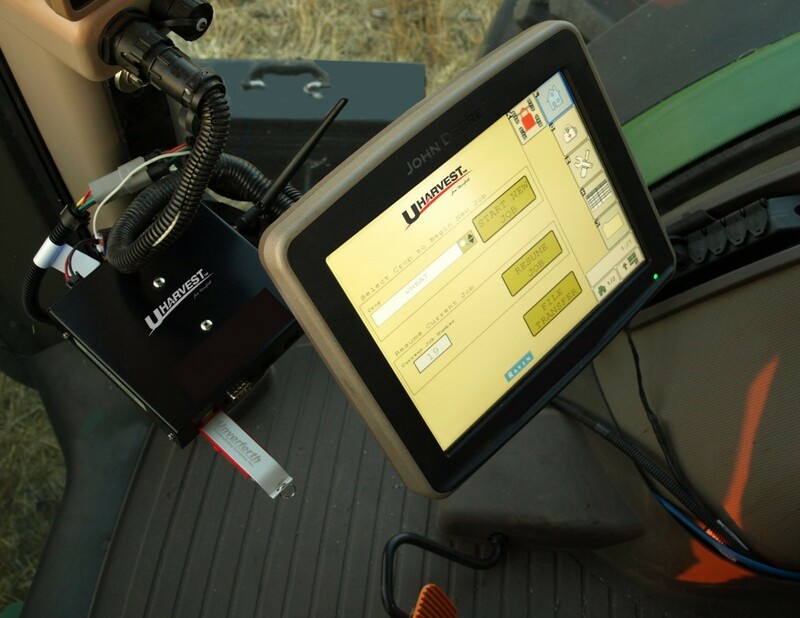 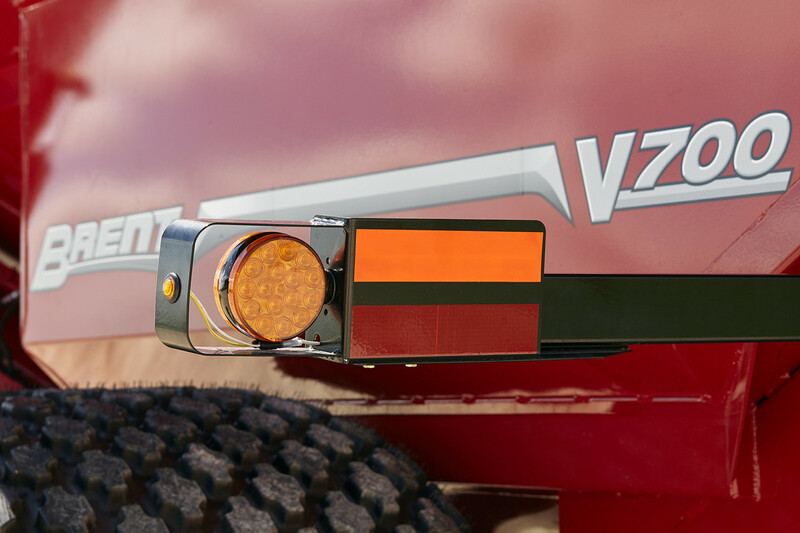 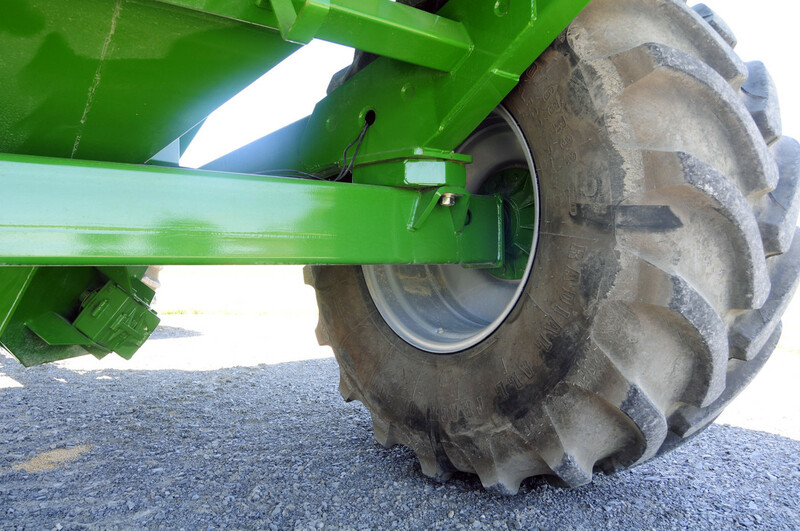 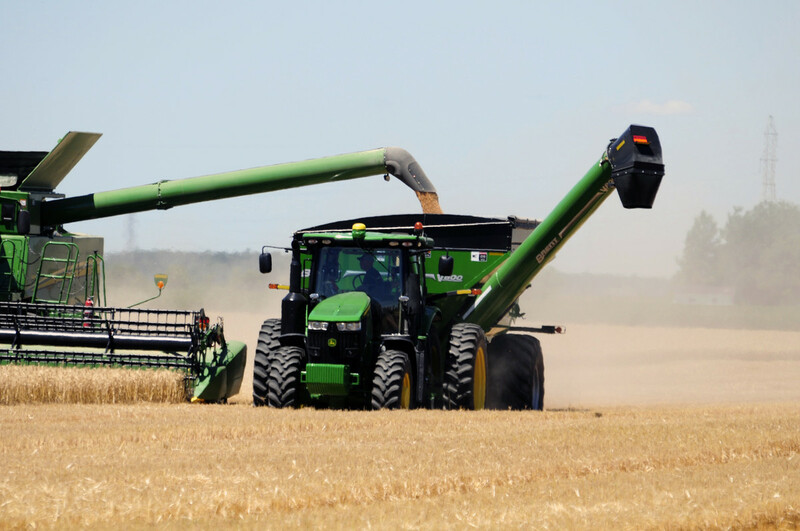 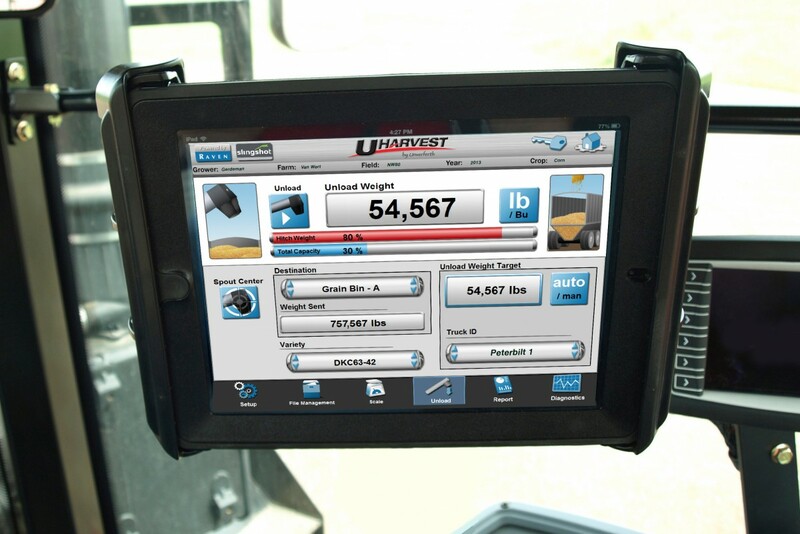 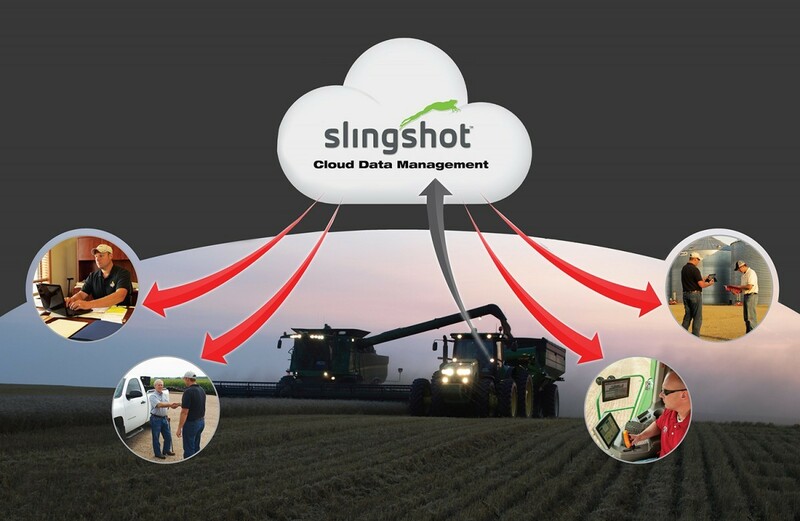 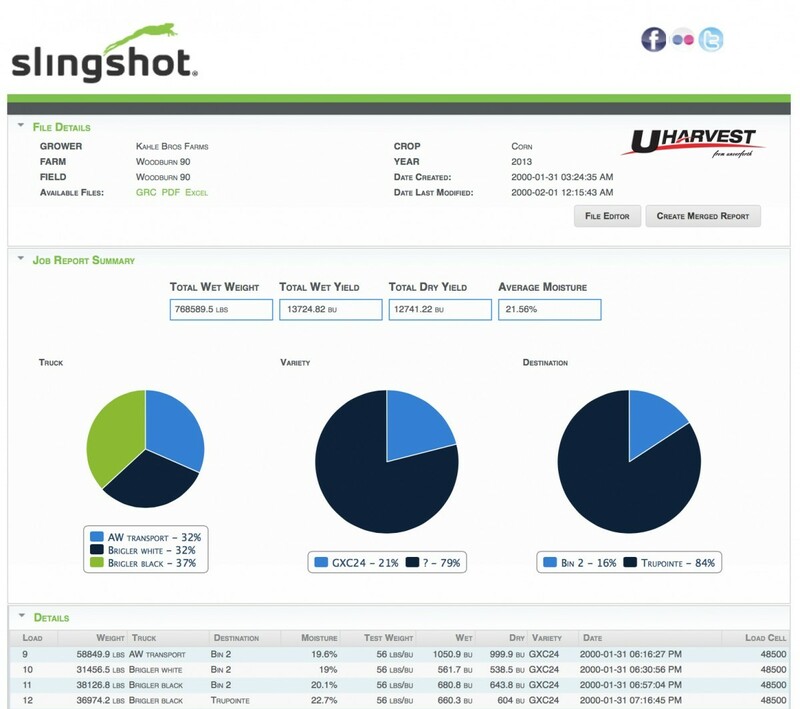 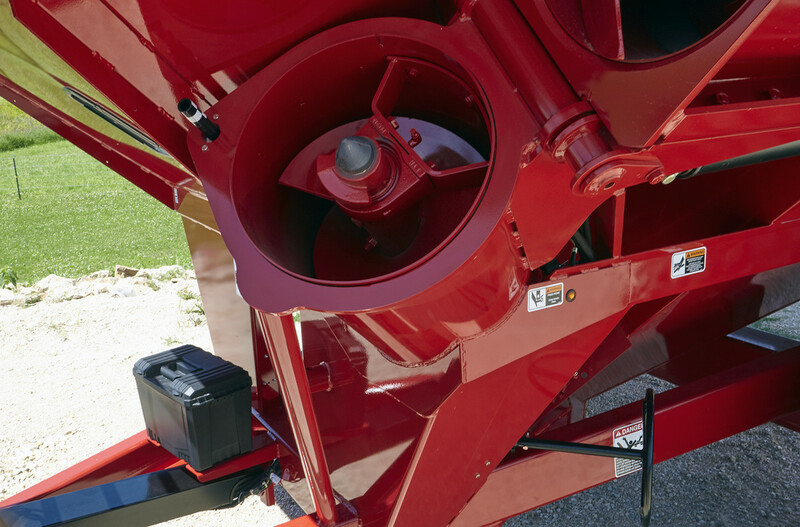 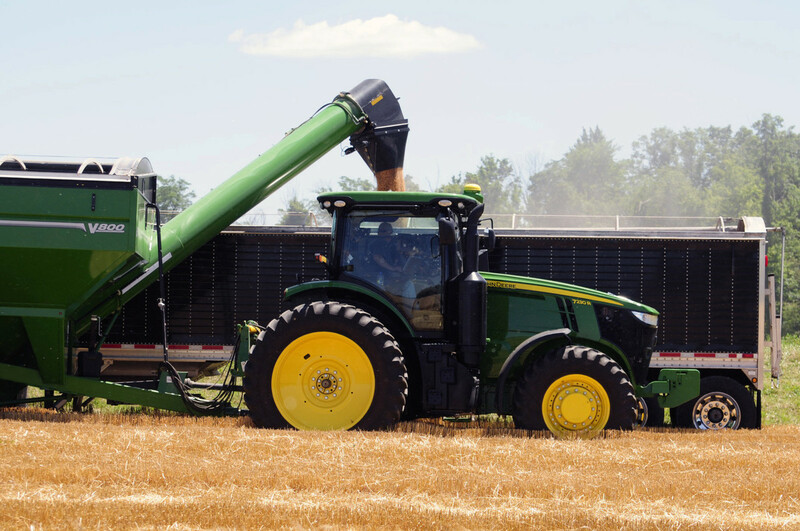 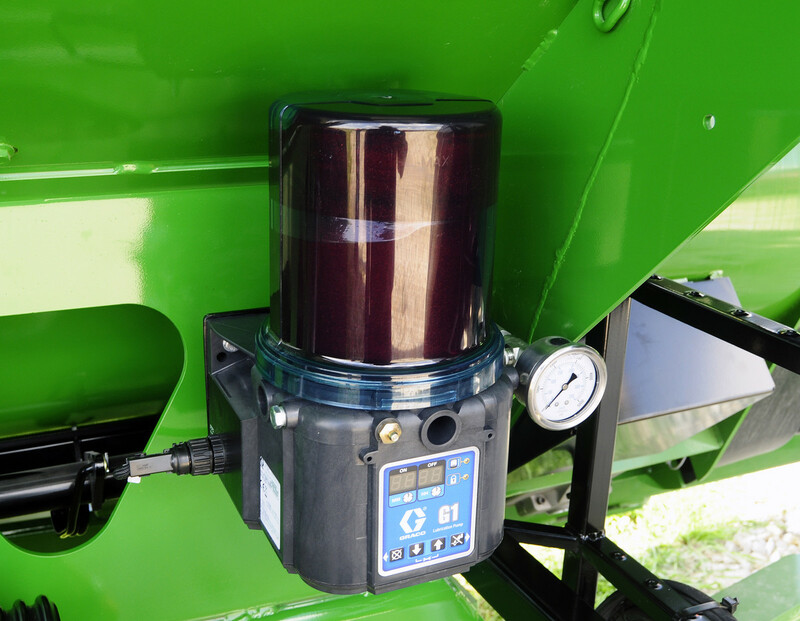 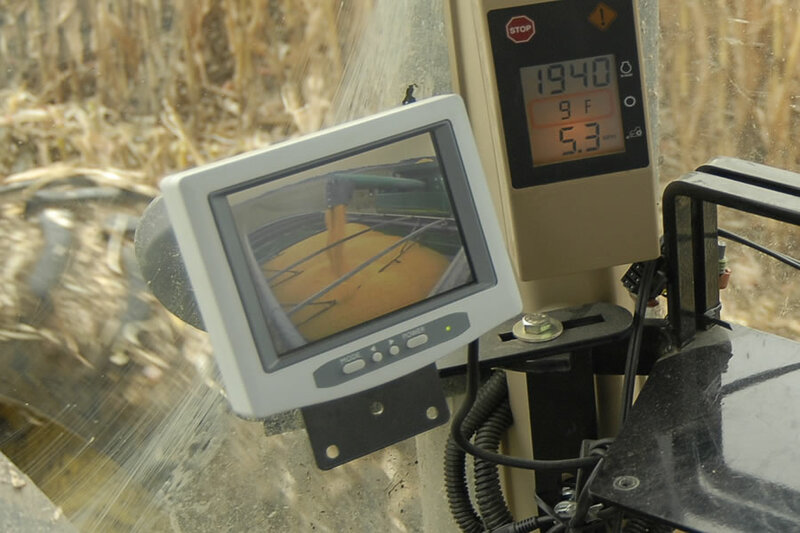 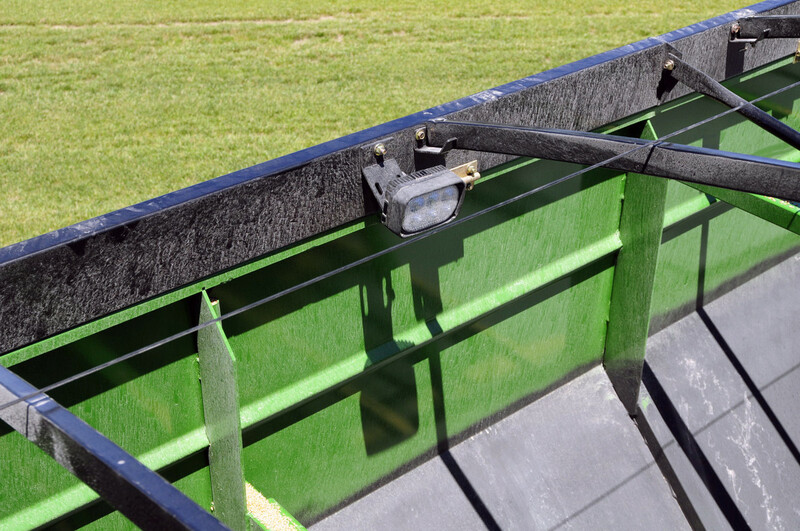 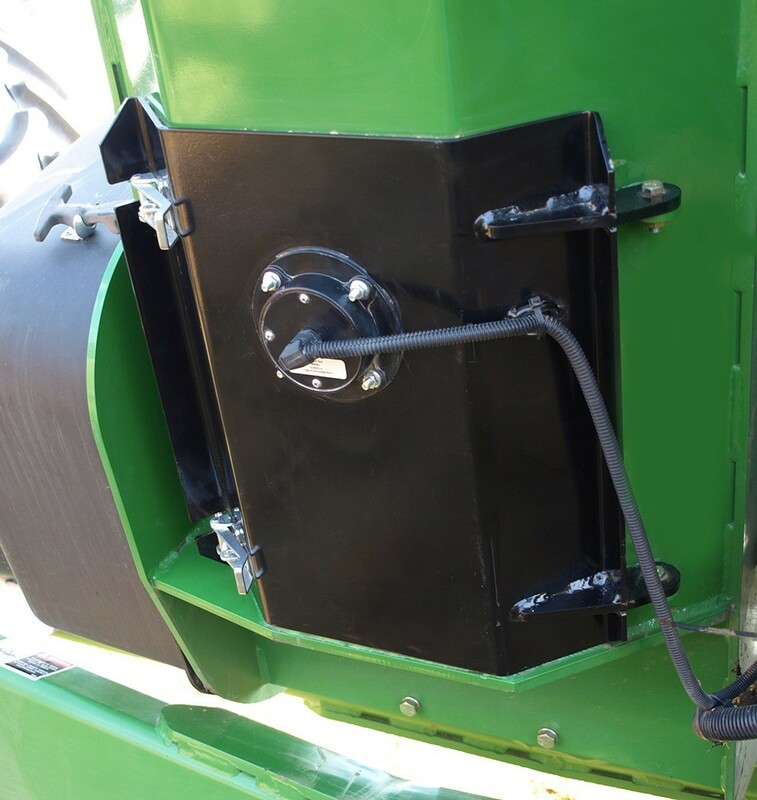 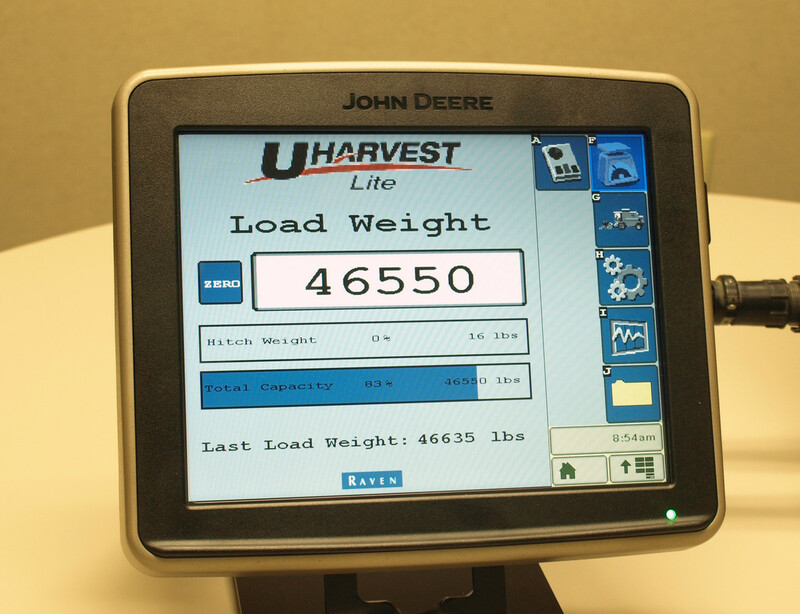 This reduces operator fatigue and minimizes the risk of spilling to keep your harvest running smoothly. 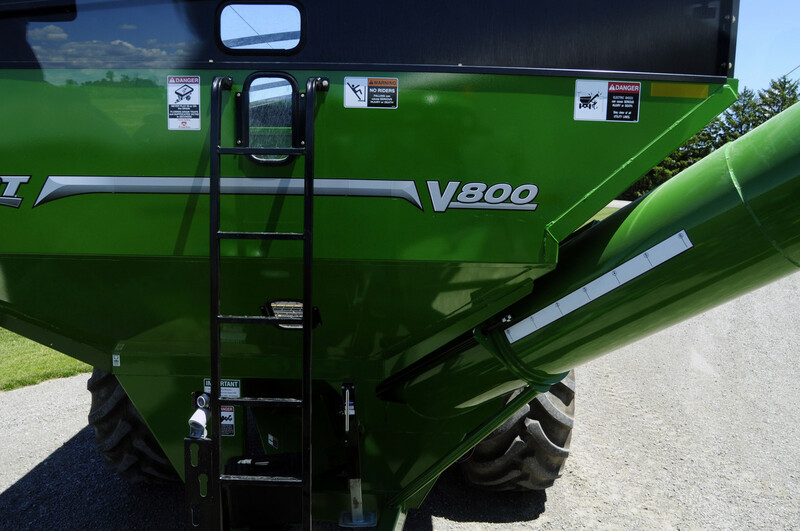 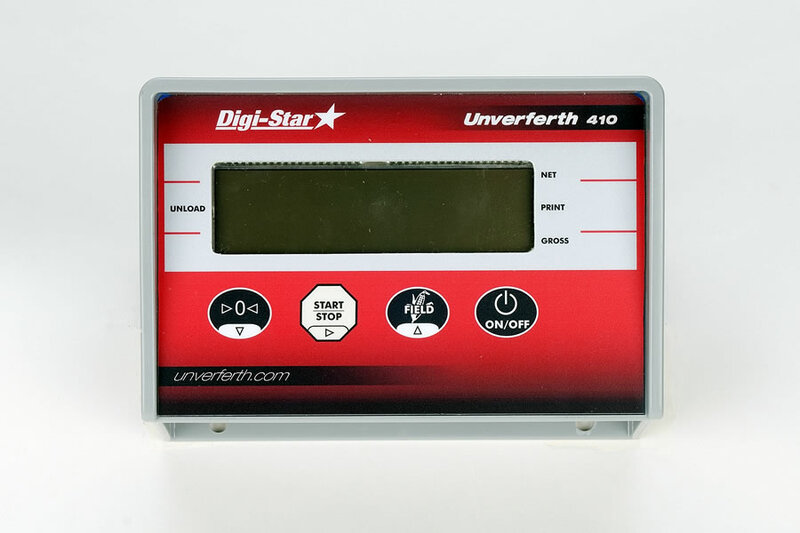 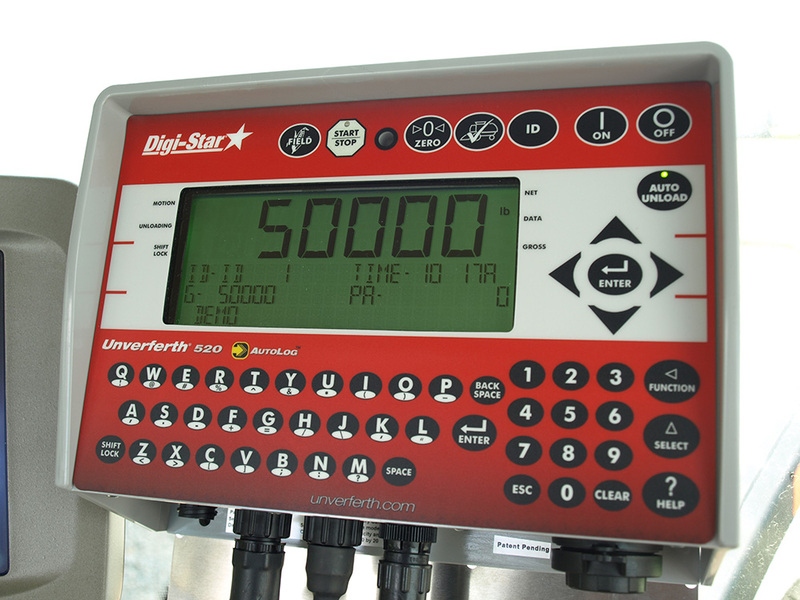 Choose from models V1500, V1300, V1100, V1000, V800 and V700 with capacities ranging from 1,500 to 750 bushels and unloading speeds up to 650 bushels per minute depending on model. 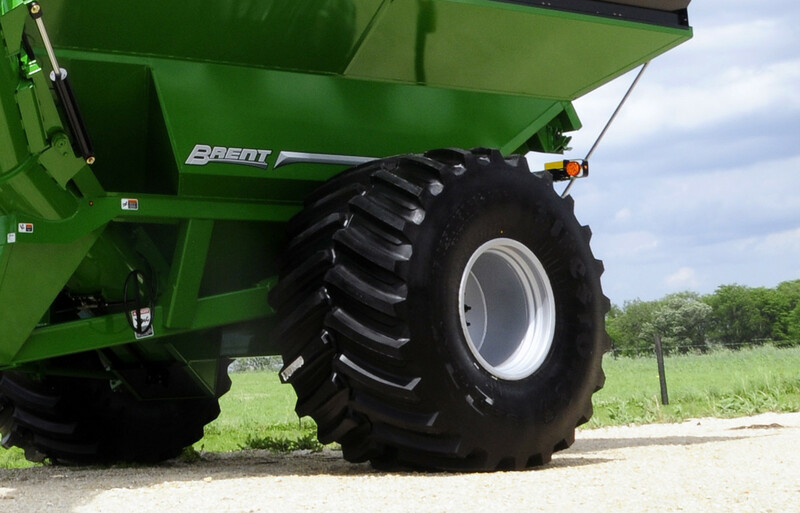 When you're ready for the best, choose the leader and innovator in grain handling equipment....choose Brent. 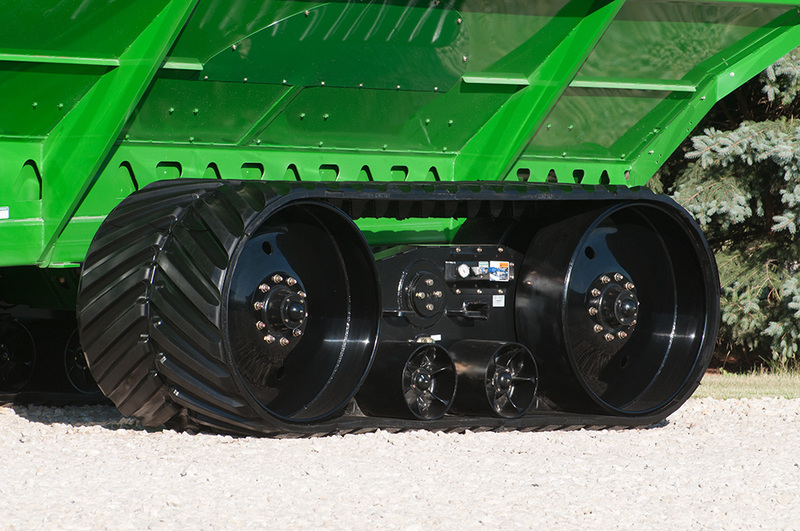 42" wide track belt provides the widest footprint in the industry! 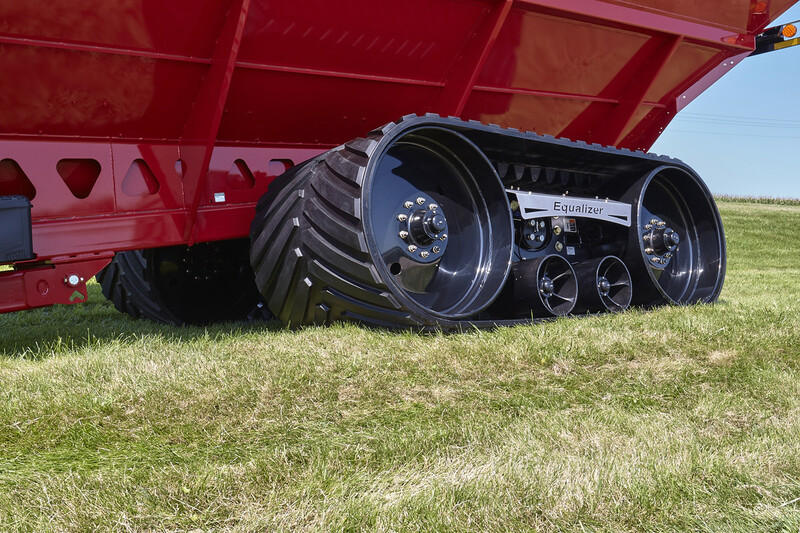 42" wide rubber track with 105" of ground contact length provides the largest footprint in the industry, over 60 square feet! 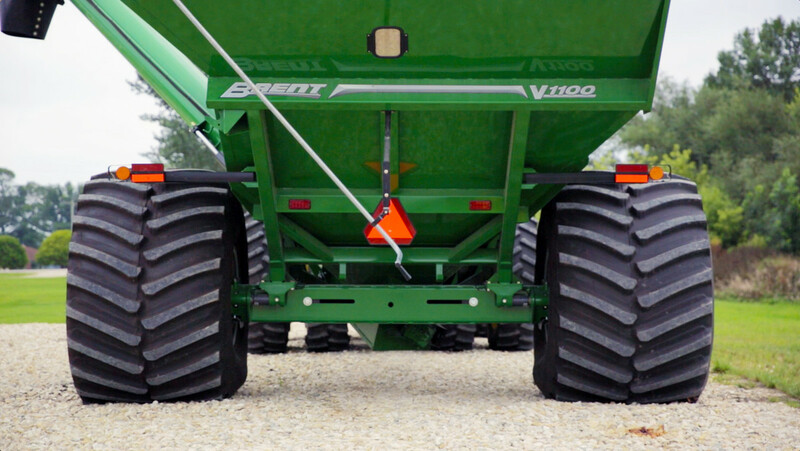 42" wide rubber track with 87" of ground contact length provides a footprint of over 50 square feet! 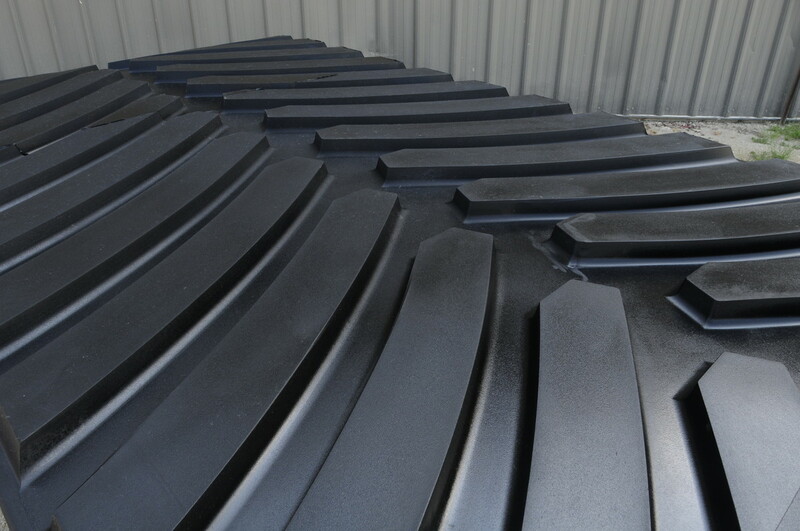 Auger Diameter 22" 22" 20" 20" 20" 18"
Flighting Thickness 7/16" 7/16" 7/16" 7/16" 7/16" 7/16"
Hube Size/Spindle Diameter - 12-bolt/6" 10-bolt/4.5" 10-bolt/4.5" 10-bolt/4.5" 10-bolt/4.5"
Hopper Length 28' 28' 21' 6" 19' 5" 17' 11" 17' 11"
Hopper Width 14' 12' 7" 13' 4" 11' 10" 11' 10" 11' 10"
9' 6" 9' 6" 9' 6" 9' 1" 9' 1" 9' 9"
Auger Side Reach Min 5' 9" 5' 9" 5' 10" 6' 8" 6' 8" 6' 9"
Hitch to Spout when Straight Down (forward reach) 3' 10" 3' 10" 4' 2' 5" 2' 5" 3' 7"
Overall Transport Length 30' 7" 30' 7" 26' 26' 4" 26' 4" 22' 11"
Hitch to Center of Axle 18' 18' 15' 10" 15' 5" 15' 14' 8"
Hitch Height - 1' 9" 1' 10" 1' 7" 1' 7" 1' 7"
Hopper Height Low Side - 11' 8" 11' 11" 11' 8" 11' 2" 10' 4"
Hopper Height High Side - 13' 1" 12' 11" 12' 8" 12' 2" 11' 3"
Auger Height with Spout Straight Down - 13' 2" 13' 13' 1" 13' 1" 12' 5"
Height to Top of Auger in Unload Position - 17' 11" 17' 4" 17' 3" 17' 3" 17' 1"
Width Outside of Tires - 15' 3" 16' 2" 15' 7" 12' 9" 12' 9"
Center of Tire to Center of Tire - 11' 1" 12' 1" 12' 2" 10' 1" 10' 1"
Under Frame Height - 1' 4" 1' 8" 1' 5" 1' 5" 1' 3"